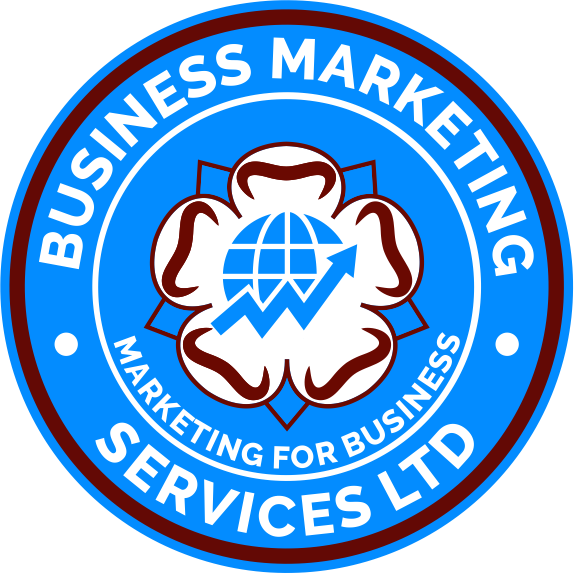 1.2 The company is BMS TRAINING SERVICES a division of BMS MARKETING SERVICES LIMITED. 1.3 Project – means the Web services which the buyer agrees to buy from the company. 1.5 Booking – means an Order for services from the company made pursuant to the signed Contract order form. 2.5 Signing of the contract order form or receipt of an email to proceed shall be deemed conclusive evidence of the Buyer’s acceptance of these terms and conditions. 3.1 All bookings with the company are accepted subject to the following terms and conditions. Completion of the booking form (either manually or electronically) together with full payment of the relevant course fee(s) constitutes acceptance of these terms. 4.1 No booking will be deemed as accepted by the company unless and until confirmed in writing and payment has been received in full. A VAT invoice will be sent to acknowledge your booking. 4.2 Please contact us if you have not received an invoice within 7 to 10 days. 4.3. All prices quoted exclude VAT. Prices are correct at time of being published, but are subject to change. The company may, without notifying the client, make changes to the seminar, postpone, cancel or discontinue the seminar booked. Under these circumstances, the client will be booked on an appropriate alternative seminar at no extra charge. We reserve the right to refuse or restrict anyone from attending our seminars. Course outlines are correct at the time of booking. 5.1 If you are unable to attend the training course, please notify us of the name of the person to attend in your place. We do not provide refunds for course cancellations. 5.2 Seminar dates may vary subject to demand. All seminars will run subject to the number of delegates. A seminar may be cancelled if too few bookings are received, in which case we will notify you approximately 10 days before the seminar to offer an alternative date, or if you prefer, refund your booking fee. In no circumstances will the company be liable for any amount in excess of the agreed fee for the seminar in question. In particular the company will not be responsible for contingent travel, accommodation or other expenses of seminar delegates arising from cancellation. 6.1 The company shall not be liable to the Buyer or be deemed in breach of contract by reason of any delay or failure to perform any of the company’s obligations in relation to the seminar if this was due to any cause beyond the company’s reasonable control. 6.2 We will use our best endeavours to provide the seminar and trainers booked. However we reserve the right to change the content and timing of the seminar, presenter, date or venue. Cancellations or changes by us for whatever reason will not result in any obligation or liability to the buyer other than the prompt return of any fees paid or the issuance of a credit note in lieu. 7.1 The company will use all reasonable care and skill in providing the training your order under the agreement, including the use of suitably qualified and experienced trainers. However we make no warranty as to the results attained by attending our seminars. Furthermore, any decisions delegates make having received our training are their own and they remain wholly responsible for their actions. 7.2 Except as expressly represented otherwise, and to the extent not prohibited by law, all training including any documentation provided by or on behalf of the company to the delegate is furnished on an “as is” basis without warranty of any kind, whether express, implied, statutory or otherwise especially as to quality, reliability, timeliness, usefulness, sufficiency an accuracy. 8.1 All rights reserved. No part of the training material may be reproduced, stored in a retrieval system, or transmitted in any form, or by any means, electronic, mechanical, photocopying, or otherwise, without the prior permission in writing of the copyright owner. 8.2 Any audio or video recording or photography of our seminars is prohibited unless permission has been received in writing in advance. We reserve the right to eject offenders and to confiscate recording or photographic material without liability of any kind whatsoever to the company, its employees or agents, and without refund of fees paid. 9.1 Except in respect of death or personal injury caused by the company’s negligence or as expressly provided in these conditions, the company shall not be liable to the client by reason of any representation, or any implied warranty, condition or other term, or any duty at common law, or under the express terms of the contract for any loss of profit or any indirect, special or consequential loss, damage or costs, expenses or other claims (whether caused by negligence of the company, its servants or agents or otherwise) which arise out of or in in connection with the provision of the seminar and the entire liability of the contract shall not exceed the amount of the company’s fees for the provision of the seminar except as expressly provided in these conditions. To the extent not prohibited by law, the company will not be liable for any consequential, incidental, special or other indirect damages arising from these terms. In the event that the company fails to provide training in accordance with these terms, our entire liability and the buyers exclusive remedy shall be for company to refund all fees received from the buyer. In no event shall the aggregate liability for damages against the company, its employees or agents, arising from these terms whether by contract or tort exceed the amount the client has actually paid. To the extent not prohibited by law, the limitations in this section shall apply to personal injury and death. Under no circumstances are we, or our agents, liable for claims for loss or damages to your records or data, special incidental or indirect damages for any economic consequential damages (including loss of profits or savings) even if we are informed of the possibility. 9.2 The company cannot be held liable for any claim of any kind, including negligence, for any loss or damage arising out of, connected with, or resulting from the seminar. In no event whatever shall the company be liable for any incidental or consequential damages including but not limited to damage to property, injury or death, or any other loss that may result directly or indirectly from any of the use of the training provided by the seminar. The company also disclaims any liability for delegates who incorrectly select the wrong seminar in error. 10.1 The client agrees to indemnify and hold the company harmless against any and all claims resulting from the fault or negligence of the buyer or its delegates in connection with these terms. 11.1 These terms are governed by and to be construed in accordance with English Law. Any disputes shall be subject to the exclusive jurisdiction of the English courts. Your completion of a booking form constitutes a legally binding contract. 12.1 It is always the policy of the Company to develop and improve its services. The Company, therefore, reserves the right to make any improvements to the designs and specifications of the services. 12.2 Nothing in this Agreement shall confer, nor do the parties intend it to confer, any enforceable right on any third party and the Contracts (Rights of Third Parties) Act 1999 shall not apply. 12.3 The start date of the contract held between the buyer and the company is when the order form is signed by the buyer. The company retains the right to accept contracts from a similar business trade occupation or profession to that of the advertiser.